Jennifer Beek and Georgie Hambright of J+G Design are back with some design ideas for your New Year's Eve party table! Now that Christmas is over, I'm sure many of you are finalizing the details for your New Year's Eve celebrations. 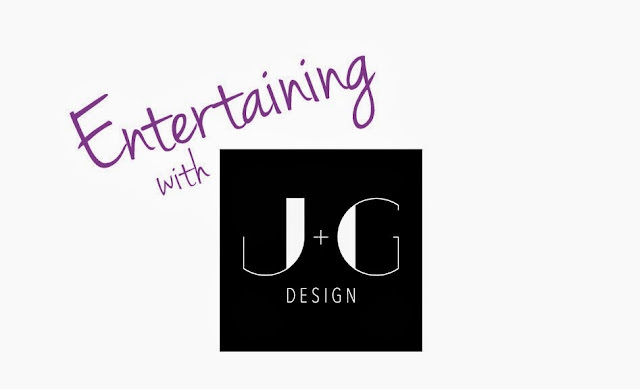 I couldn't think of a better reason to invite the ladies of J+G Design back to share some design and decorating ideas that will add some sleek and sophisticated touches to your party table. Happy New Year from J+G Design! 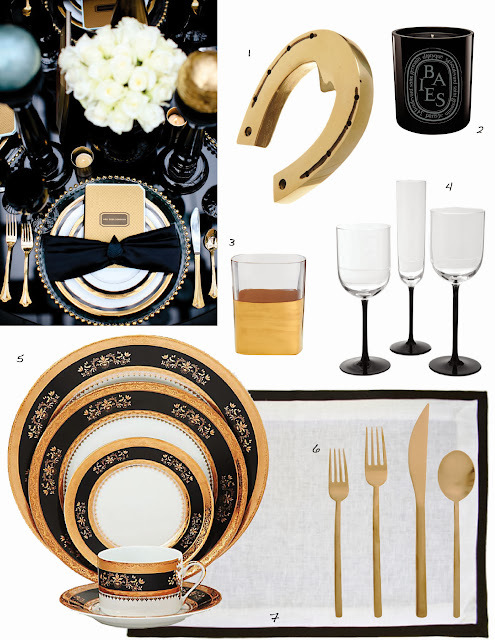 You can't go wrong with a sleek black and gold tablescape to ring in the New Year. There are so many great gold tabletop items on the market today. We particularly like the gold flatware trend. The more metallic elements the better! They reflect light beautifully and will make for a festive atmosphere. We think Michelle's impressive Asian-Style Lamb Rib Chops would pair perfectly with this setting. And, don't forget a fun playlist for the night! Cheers to a wonderful and eventful 2014!